As a mom of 4 wild and crazy boys, I live for the challenge of bringing a fun atmosphere to something that could be uncomfortable, posed and rigid. Grumpy two-year-old? Send ‘em my way! Fighting siblings? I’ve got it covered! I'm a master tickler and potty talk enthusiast. Anything goes for a great shot! I’m looking for connection, not perfection. I didn’t dive into photography because I was hungry for a way to make art, and I certainly didn’t pick up my first camera because I knew I wanted to grow up to be a photographer someday. Real talk: I did it for the Girl Scout badge.  But when my brand spanking new Digital Photographer badge was ironed onto my overcrowded little vest, it felt as though something was being ironed onto my heart, too. Truth be told, I’m a finger-in-ALL-the-pies kind of gal. I was a DJ for my college radio station, WUSC. I managed communications at my church. I even became a certified ballet teacher. But the superpower that comes with photography – the ability to freeze an unrepeatable moment and treasure it forever – kept pulling me irresistibly back like the smell of fresh cornbread. After graduating with a degree in Journalism for Visual Communication from the University of South Carolina (yes, I basically got a degree in “Yearbook,” and also, yes, it was a blast), I knew there was no turning back! Today my greatest strength lies in photographing families, especially the big, noisy ones with an ornery toddler and a dad who struggles to crack a smile. As a mom of 4 wild and crazy boys, I live for the challenge of bringing a fun atmosphere to something that could be uncomfortable, posed and rigid. Grumpy two-year-old? Send ‘em my way! Fighting siblings? I’ve got it covered! I’ve even had moms email me after our sessions to tell me that their children can’t wait for our next photo session! I live for the laughter and am thrilled by “messy.” For me, it’s not just about taking the perfect picture. It’s about capturing a real moment in time – and everything that comes along with it. I can’t wait to meet you and capture your family’s story! So say hello, and let’s make some magic! Get first dibs on Half Priced Mini Session dates and calendar openings.